I found two crochet patterns that I'd like to try; the tweed silk scarf and the square-hole shrug. They are crochet and seem appropriate for Southern California. I'm sending this to duskrider3740 for Holiday Gift Giving. 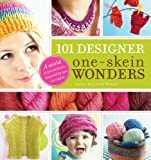 This book has some crochet patterns, I hope you find some that you like. Received in a Holiday Gift Giving Box from LittleWhiteBird! More of a Knitting book, than a crochet one, and I really didn't find any patterns that appealed to me. Controlled release to KaleLewin for a Craft Sweepstakes parcel. Picked up from the post office today. There are several patterns I have already earmarked for trying.